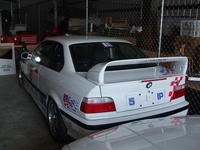 Hi, Today’s post is about a BMW E36 M3 GTR project. 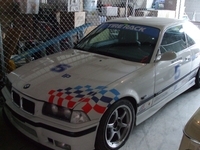 The project has originally started with a BMW E36 order paroxetine, clomid online. 320 and it ended up like the following 2 videos. It has under the hood a 3,378 cc 8-cylinder engine and it can provide a 550 hp. I suggest you take a look at these videos. 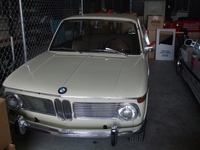 They’re just awesome and if you’re looking for more information about this car, you can Google for "Georg Plasa BMW 320". You’ll find a lot of information about this car. One of the things that I want you to pay attention to is the sound. Just make sure to turn the sound as loud as you can. Also, pay attention in the second video that the driver is not even using his hand to shift gears. How cool is that ?!!! I found this video for a BMW E36 M3 with an impressive performance. Take a look how it’s passing every car it encounters. The owner says it has a supercharger (C30). This may explain it, but still the driver is doing an amazing job too. Take a look it’s really cool. This is a a great car! I hope you don’t feel jealous. 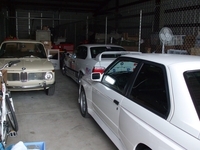 Would you like to have these BMW cars in your garage? 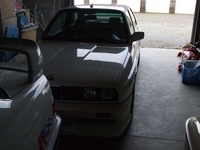 I’ve found a thread on the bimmerfest forum which was made by E36youngster. E36youngster was doing some checkups for the storage buildings of his marina company when he opened one of those storages and found these cuties stored there . They’re a fantastic collection of cars and I can say with confidence that their owner has a cardura no rx, zithromax reviews. real good taste in cars . Imagine that you have all these great cars in your garage and everyday you wake up in the morning and having a really hard decision to make . . . that is, which car I’m going to drive today? hmmm… that’s a hard question, isn’t it? 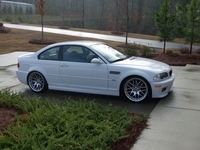 Well, I know that most of you will decide to go with the E36, but for me, I would enjoy them all AS much as I can. Feeling Sorry For This BMW . . . Burnout! I absolutely love BMW E36 burnouts, but this one has went too far. Don’t you order cardura, order zithromax. think? I mean even if I had this car for fun, I won’t treat her like this? What about you guys? Do you treat your babe like this?